“I’m not afraid of death; I just don’t want to be there when it happens.” Woody Allen. One of my friends has a t-shirt that says “I see stupid people.” This is brilliant. And, unfortunately, quite true. Needless to say, I encountered one of these “stupid” people in the grocery store. I should have known that this woman was not rocket scientist material when I saw her hovering over the expired mayonnaise in a clearance cart. Expired mayo is the last thing this girl would ever eat…my mama didn’t raise no dummies. This is why I hate potluck dinners. I do not want to eat a dish prepared by a stupid person. 1) With Father’s Day coming up, I thought that this strange new product line was apropos. 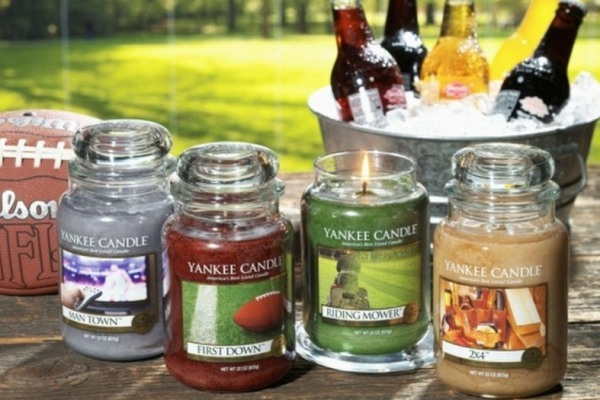 The familiar Yankee Candle company has introduced the MAN CANDLE–yes, candles for men. Why should candle-loving males be forced to endure feminine scents like lilac blossoms, butter cream, or lemon lavender? While I, personally, have never heard any men complaining about the rampant sexism in the candle industry, obviously someone somewhere was feeling neglected. Well, no need to worry now. Yankee Candle has you covered with masculine fragrances like: 2X4 (does this smell like Home Depot? ), First Down, Man Town, and my personal favourite, Riding Mower (which is supposed to smell like a freshly mowed lawn). And if you think that’s impressive, I discovered another butch candle retailer called “Mandle Company” that carries a truly unique line of scented waxes–Stogie, Camp Breakfast, Campfire smoke, Kegger, and Pizzeria–just to name a few. 2) If your dream car involves largeness or luxury, this probably isn’t for you. I met this automotive oddity on an episode of Storage Wars. On this particular episode, the ever-creative (and, in my opinion, yummy piece of eye candy), Barry Weiss, recruited a little person equipped with a pair of stilts and night vision goggles. The now 7′ tall dwarf spotted a round piece of glass in the back of a unit and jumped for joy (carefully due to the stilts and all) and announced that it was likely a huge aquarium. Barry, always willing to take a gamble, was the high bidder. Needless to say, it wasn’t a large aquarium–but a small aquarium-like car. In a storage locker. Behind a pile of boxes. And a mattress. 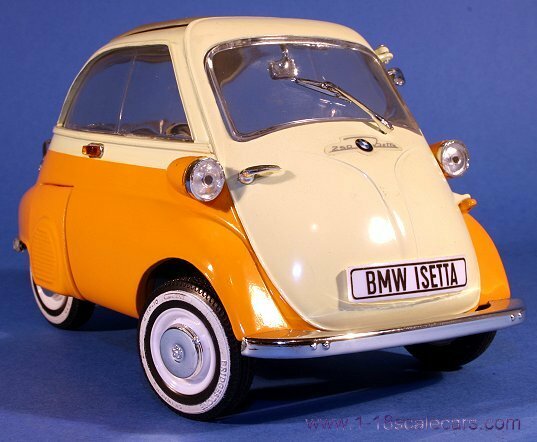 Welcome to the BMW Isetta–a 1950s “bubble” car. Yes, it is not your imagination. The only way in and out is through the nose–yup, a great safety feature, particularly after a front-end collision. But no need to worry. BMW has you covered. If you should find your exit blocked by a wayward vehicle of normal proportions, you should simply crawl out through the sun-roof. I’m too short for this. 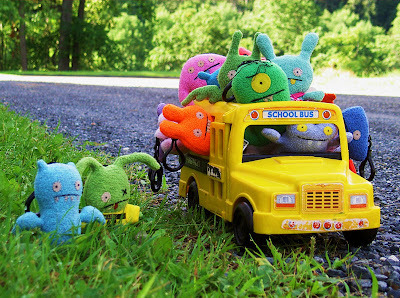 It’s likely that I could barely reach the top of the car, let alone pull myself out of it. But I am not worried. For one thing, I do not want a car that is shaped like a football–and is approximately the same size. Furthermore, as I gaze at this feat of automotive genius, I realize that getting out after a head-on collision isn’t really a major concern. You’d probably be dead anyway. Even if said collision was with a wayward Junebug. 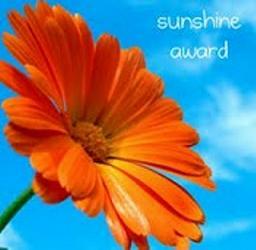 3) Notice anything “outstanding” about the man in this photo? Does anything “jump” out at you? 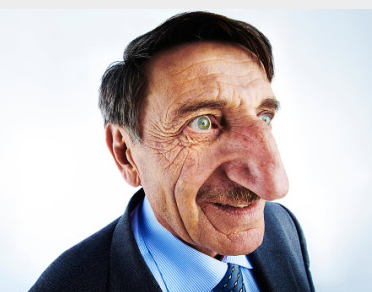 According to the people at the Guinness World Records, he is the proud owner of the largest nose on the planet. That’s nothing to sneeze at. Mehmet Ozyurek of Turkey has a honking huge proboscis–measuring in at 3.46 inches from the bridge to the tip. Isn’t he the nosy one? And one last pun…now you “nose” more than you did before. I’ll have to beg your forgiveness for that one.